Last edited by 2013Versa; 01-12-2019 at 06:19 AM. There should be no issues whatsoever in what you are doing. Those sizes/wheels are both factory set ups so you should be good to go. This site helps me with choice in the past. If you have your spare tire mounted on a steel rim, you might want to make sure that alloy mounting lugs can be used to mount the spare. 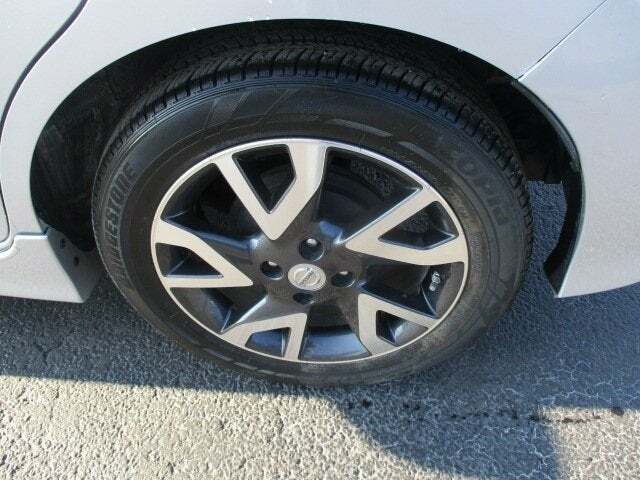 When I had a Mercedes with alloy wheels, my spare was mounted on a steel rim. The alloy lugs could not be used to mount the steel rim because they were too long. The spare did come equipped with its own shorter lugs. I found some new OEM 15" Nissan rims on fleaBay and they were much cheaper ($360 including shipping) than the 16" ones I wanted -and they matched the color of my car! They're factory OEM, but I suspect so. I've been real happy with them! Right on, they look good.